Whether it’s privately coming out to your family or publically sharing your story on stage, queerness is experienced in a myriad of different ways. Queer and Here celebrates the diversity of the LGBTQ community and provides a snapshot into the intricacies of their varied experiences. Ana fears that coming out to her Filipino Catholic mother would break her heart. But when her mother needs help cleaning a hoarder house, Ana enlists her secret girlfriend for the job. ELISA OH is a queer Korean American writer, director, and illustrator. As the eldest child of a preacher, Elisa grew up poised to follow suit in the family business. She graduated from UC San Diego with a BA in Philosophy and Asian American Studies and went on the receive her Masters in Divinity at Fuller Theological Seminary. After parting ways with the church, she decided instead to illuminate underrepresented, authentic stories from her own experiences through film and illustration. She is currently a third year MFA student USC’s Film and Television Production program with an emphasis in screenwriting. 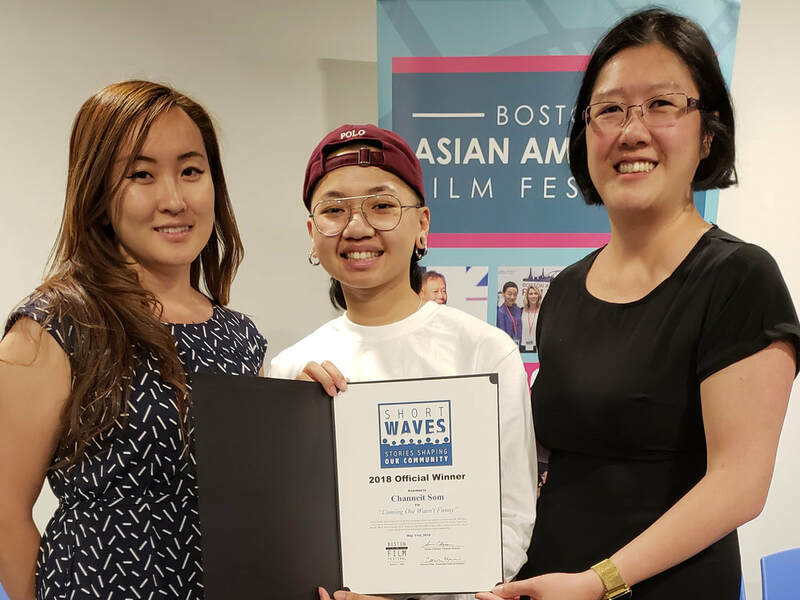 QUYÊN NGUYEN-LE is a Vietnamese-American filmmaker from Los Angeles, whose work explores the intersections of queerness, memory, and cultural identity. 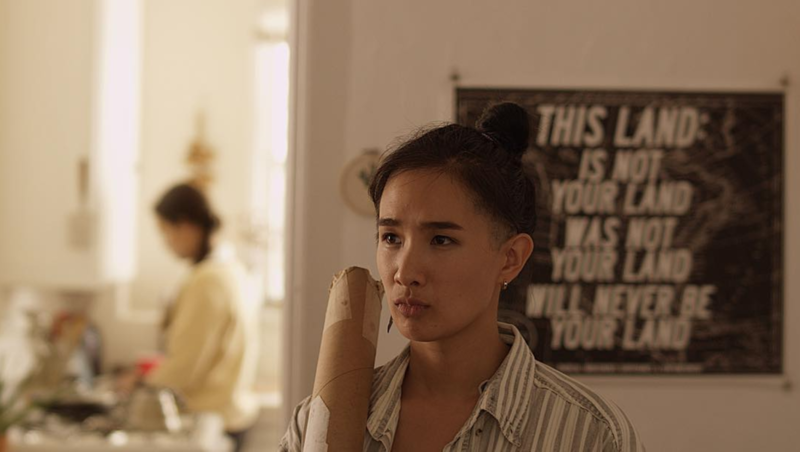 ​This film focuses on the relationship with director Channeit Som's dad that she never really spoke in-depth about, only joked around about. In this story, she hopes to highlight that this narrative is still continuing even after this video is shown. In hopes, she want to show the dynamic of being from a bicultural generation and having intergenerational differences that many of you might be able to relate to. On Lunars New Year, a Vietnamese American trans woman goes behind her mother's back to wear her first ao dai in hopes of convincing her immigrant mother that she is capable of being her daughter. When his father passes away, Vijay is forced to return home after a 10 year estrangement and open up to his mother about his sexuality. Faroukh Virani is a Los Angeles based director and editor who has completed studies in Film Production at USC's School of Cinematic Arts (MFA) and NYU's Tisch School of the Arts (BFA). Faroukh serves as an Editor on CW's series ”iZombie" with past assistant editor credits on "The Resident," and "Eight Days a Week," a documentary about The Beatles' Touring Years. Faroukh’s USC Thesis film, VIMANA, has screened at various film festivals including the Los Angeles Asian Pacific Film Festival, CAAMFest, and recently part of PBS’ Online Film Festival. Decoding DarkMatter is a short documentary film about two Asian transgender poetry performance artists: Alok Vaid-Menon and Janani Balasubramanian. It documents their journey from Stanford University, where they began performing together as DarkMatter, to their first large theater production, It Gets Bitter, at Joe’s Pub in New York City. DarkMatter’s performances are a mixture of art, theater, and poetry. Both go by they/them pronouns, and through their spoken word poetry, act as art activists, discussing the obstacles and struggles trans people of color are facing worldwide. Filmmaker, Editor and Videographer, Crystal Waterton started her film career at Montclair State University where she studied Broadcasting and Spanish Language. She created her first short film "Estudiante en el Extranjero" (Student Abroad), while studying abroad in Madrid, Spain. The film documented her travels across Paris, Amsterdam, Spain and Morocco. Her first thesis film, "Man in the Mirror"; short documentary about a student drag queen, represented her University at the Student Emmy Awards. She went on to receive a Bachelor’s degree in Broadcasting. Crystal has worked at various productions and television networks, including The Montel Williams Show, The Martha Stewart Show, Inside Edition, The Sundance Channel and most recently NBCUniversal. In 2017, Crystal earned her Master of Fine Arts degree in Integrated Media Arts at Hunter College. Today, Crystal continues to create poignant documentaries that shed light on the issues of marginalized communities and provide audiences a visual medium that encourage discussion and action. 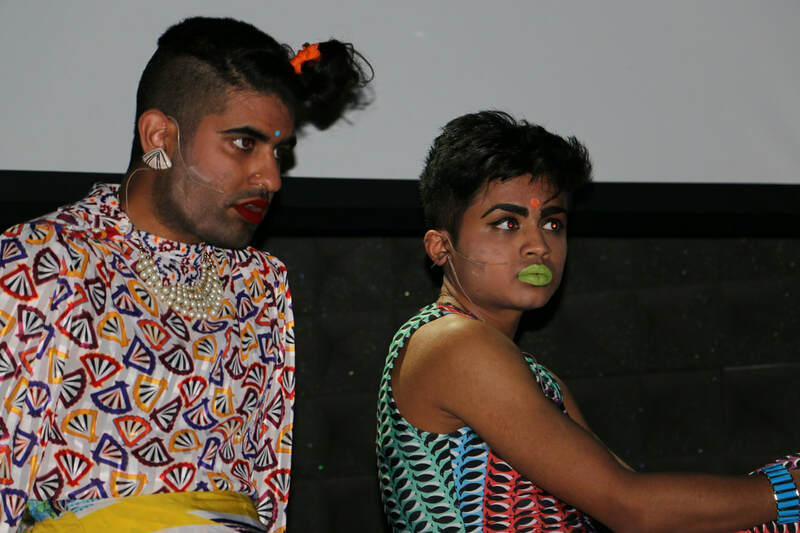 Her most recent film; "Decoding DarkMatter", a short documentary about the journey of two South-East Asian transgender performance poetry artists, Alok Vaid-Menon & Janani Balasubramanian.